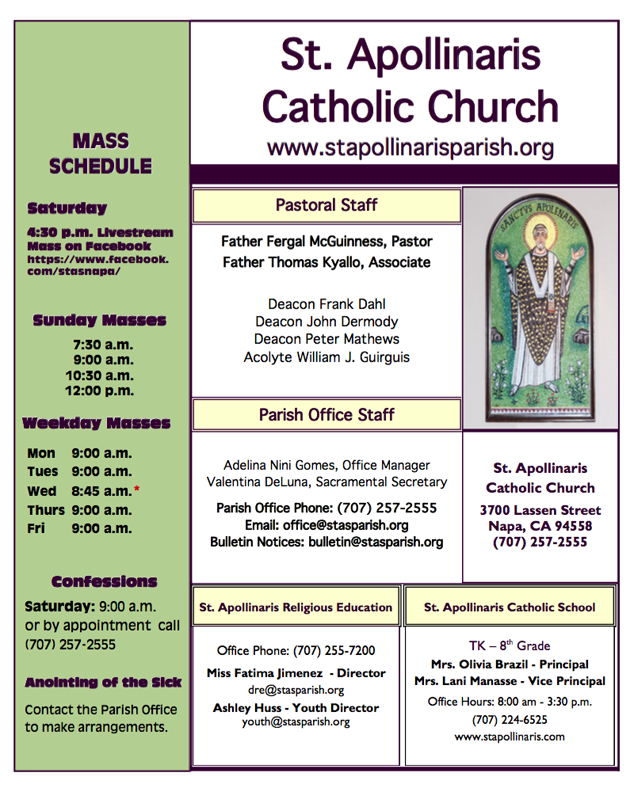 Napa Valley's St. Apollinaris Catholic Church invites you to join us in meeting the spiritual, educational, and physical needs of our growing parish family and community. Use WeShare to make a donation to St. Apollinaris Church. Free of Charge. All are welcome. Donations accepted. Information can be found in the parish bulletin. Why not make the intention of spending one hour a week in front of Planned Parenthood in prayer? Call Chris at (707)252-0191 to sign up. In the words of Pope Francis, “even the weakest and most vulnerable, the sick, the old, the unborn and the poor, are masterpieces of God’s creation, made in his own image, destined to live forever, and deserving of the utmost reverence and respect”. Get married at St. Apollinaris? Come back to the Church? Plan a funeral or burial? St. Apollinaris is a welcoming Catholic Christian Community united by faith in God, nourished by Jesus through both the Word and the Eucharist and empowered by the Holy Spirit. We invite you to join us in meeting the spiritual, educational, and physical needs of our growing parish family and community through prayer, faith formation, evangelization, stewardship, hospitality, and social justice. As a child ages their understanding of our faith will grow and mature with continued faith formation. Our Catholic faith has much to offer with yearly education a child will grow in understand and love of God. St. Apollinaris has much to offer children through our religious education program. The purpose of the St. Apollinaris Women’s Guild is threefold: Spiritual, Social, and Service. 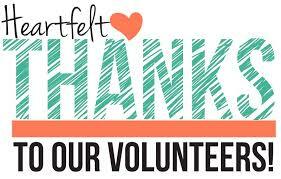 We sponsor a Day of Reflection for members; Bible Study is ongoing; there are 2 dinner meetings, a Mass and Brunch; and we have day trips planned for our members. We do Service by helping with events at St. A’s. An event is planned each month (Oct – May). A monthly gathering of married and engaged couples with the goal of assisting them to become the "true" domestic church. This is done by providing tools and information to help them live out God's Plan for the Sacrament of Marriage and to create a vibrant and positive community of married couples. Activities include speakers, dinners, movie nights, game nights, informative video presentations on Catholic teaching about living God's Plan for marriage, family nights, and couple time.